We will be doing some repairs Thursday and Friday this week (March 6th and 7th) at our facility! We will close for these days and reopen on Saturday March 8th! Stay warm! Well I have gotten word that snow is in the air again for tomorrow! Yikes–I am ready for spring! We are glad that so many came out this past weekend to have some fun! Please remember to post your pictures and comments on Facebook. We hope you all enjoy your week! It will be a wet one! Please keep a look at our calendar to check for open dates! Just a bit a fun news, this summer we will be opening SPRAYGROUND! 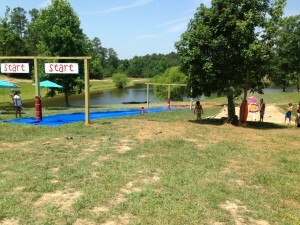 It will include a slippery slope, our water war zone and sprinkler fun! Just pack up your bathing suits and cool off at Three Bears Acres! Stay tuned for photos and fun!